Hellboy turns wrestler and goes up against a battling Frankenstein Monster in House of the Living Dead, a graphic novel to coming in November. If you only know the character from the films, fine as they are, you don’t know Hellboy. Mike Mignola’s comic books are much darker and more complex, evoking Lovecraft, Machen and Poe. 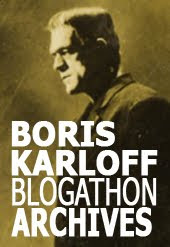 Here, eerie Victorian ghost stories, ancient mythology and supernatural folk tales collide with Vernian technology, pulse-pounding pulp sensibilities and b-movie tropes. The success of Hellboy has spawned a mini-universe of spinoff titles featuring imaginative characters such as the amphibian Abe Sapien and the Nazi-busting Lobster Johnson. Among these, B.P.R.D., about a team or paranormal investigators, is a singularly brilliant horror comic. I urge you to seek out the B.P.R.D. collections plotted by Mignola, with superlative scripts by John Arcudi and outstanding art by Guy Davis. 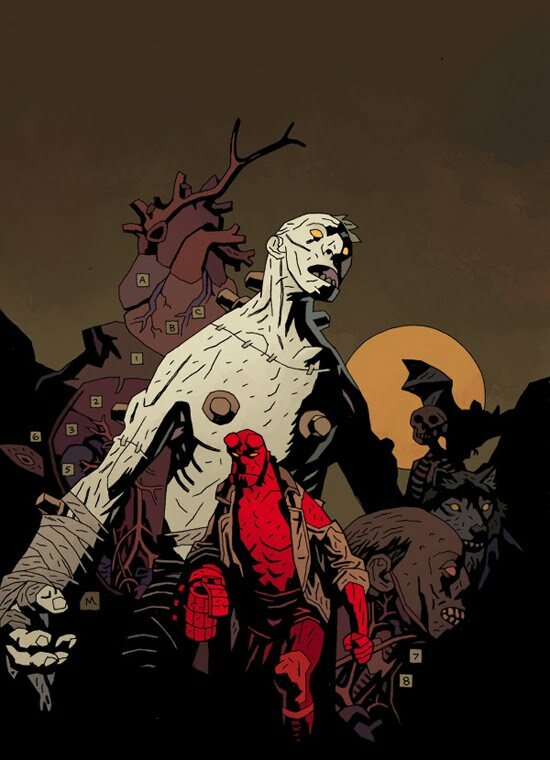 In recent years, Mignola has been concentrating on writing, reserving his elegant, much-copied but unequaled art for covers and leaving the insides to other artists. Such is the case with Hellboy: House of the Living Dead, with story and cover (above) by Mignola, and the rest entrusted to the great Richard Corben. 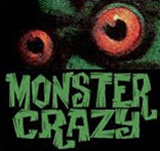 Mignola has stated that House of the Living Dead takes its thematic cue from the classic Universal Monster Rallies, House of Frankenstein and House of Dracula, where a parade of monsters take their turn in the spotlight. The story picks up from Hellboy in Mexico (or, A Drunken Blur), a one-shot comic from 2010 by Mignola and Corben in which Hellboy teamed up with a trio of monster-hunting luchadores. This time, Hellboy, in full Santo mode, goes head to head with a patchwork Frankenstein wrestler. Hellboy: House of the Living Dead, published by Dark Horse, will hit stores on November 9. An interview with Mike Mignola about House of the Living Dead, on Comic Book Resources. Publisher’s page for Hellboy: House of the Living Dead. Publisher’s page for Hellboy in Mexico, featuring sample pages. It seems Mignola and Del Toro were on the same page here. There was a serious interest in having Hellboy do battle with renditions of the Universal Monsters in the proposed third Hellboy film that may never see production. Looks like this will be a comic version of what could have been.